Popular astrophysicist Dr. Neil deGrasse Tyson will speak to an audience about the wonders of modern science at DAR Constitution Hall Feb. 26. Reach for the stars with the host of FOX's hit show "Cosmos: A Spacetime Odyssey" -- tickets for an appearance in D.C. next year will go on sale this Friday. Popular astrophysicist Dr. Neil deGrasse Tyson will speak to an audience about the wonders of modern science at DAR Constitution Hall next Feb. 26. 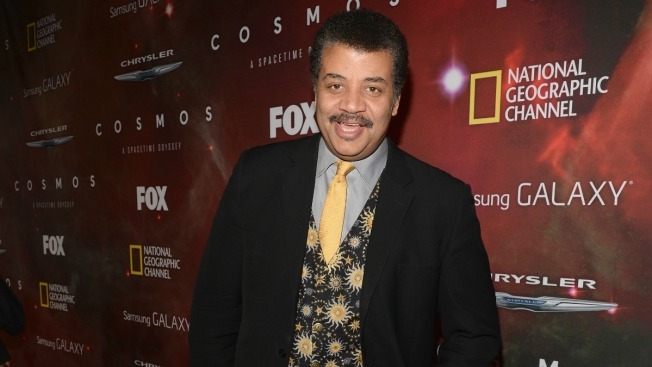 DeGrasse Tyson announced a speaking tour of six U.S. cities to begin in January. The events are family-friendly and will use a visual approach to explain complex topics in a fun and accessible way.. A Q&A session will follow the event, and children are encouraged to go ready with their burning questions about Earth, the universe and everything in between. As the director of the Hayden Planetarium, deGrasse Tyson has made it his mission to nurture young and old minds alike, and to unravel the complexities of scientific knowledge. His tour is your chance to explore the universe without having to leave the Beltway.